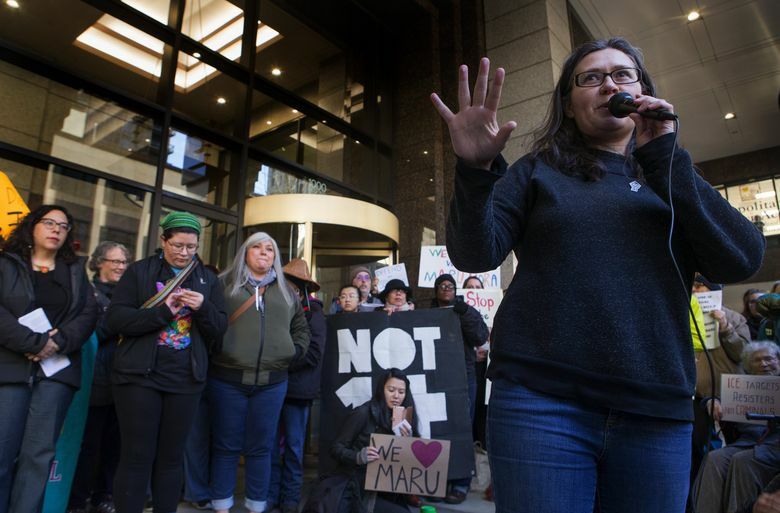 Activist Maru Mora-Villalpando, an undocumented immigrant, says federal immigration officials are using an “intimidation tactic” by putting her into deportation proceedings. Some undocumented immigrants keep their heads down, careful not to attract attention that might get them noticed by federal officers. Not Maru Mora-Villalpando. The 47-year-old Mexican native has been an outspoken activist for years and has been upfront about staying in the United States after her tourist visa expired. 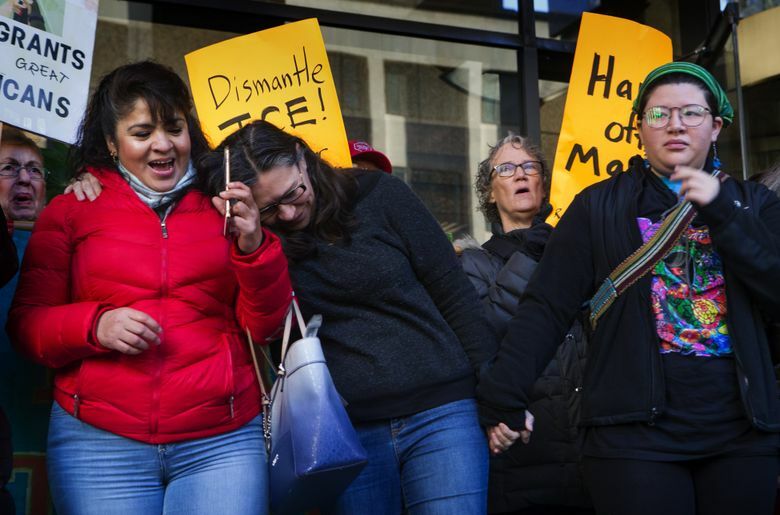 Now, Immigration and Customs Enforcement (ICE) has put Mora-Villalpando in deportation proceedings, and she and her supporters have charged the agency with retaliation. 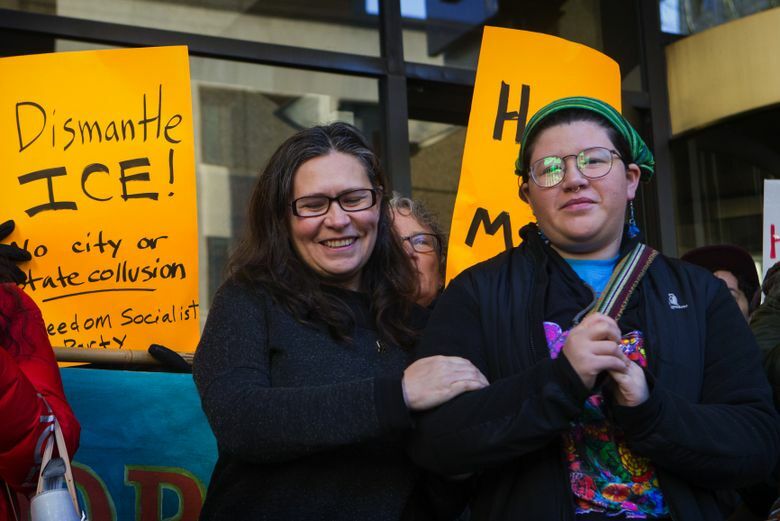 Speaking at a protest Tuesday in front of ICE offices in downtown Seattle, Mora-Villalpando said she was with her daughter when she got a knock at the door of her Bellingham home Dec. 20. It was someone bearing a letter from ICE ordering her to appear in immigration court at an unspecified date. Mora-Villalpando and others at the protest said she is one of several immigration activists across the country — including New York’s Ravi Ragbir and Jean Montrevil, both involved with sanctuary organizations there — targeted for deportation under President Donald Trump. 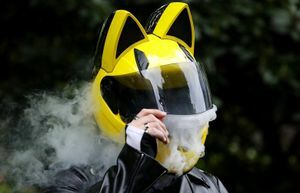 Mora-Villalpando also noted the case of Baltazar “Rosas” Aburto Gutierrez, whose recent arrest by ICE after speaking to The Seattle Times raised concerns about retaliation. ICE, asked about Mora-Villalpando’s case, did not respond to the accusation of intimidation. The agency has said it continues to focus on criminals under Trump. However, spokeswoman Yasmeen Pitts O’Keefe reiterated Tuesday, nobody in violation of immigration laws is exempt. Overstaying a visa is a civil violation. Mora-Villalpando offers no apology. In fact, through her work with the group NWDC Resistance, she opposes all detentions and deportations. 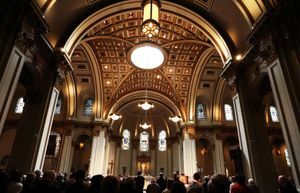 She often has served as a spokeswoman for those held at the Northwest Detention Center in Tacoma. Over the past few years, detainees, in a series of hunger strikes, have protested allegedly poor food and abusive conditions. Asked Tuesday why she thought ICE had given her a notice to appear rather than detain her, she smiled faintly. “Because I’m going to organize,” she said. Also at the protest was Nestora Salgado, a Renton woman who was imprisoned in Mexico after she returned to her home state and led a community police force challenging crime and corruption. Salgado cited violence against women in Mexico as she argued it would be dangerous to force Mora-Villalpando back there. Tearing up at times, Mora-Villalpando vowed to continue her activism. As things were wrapping up, she asked people to follow her right then to the detention center, where she planned yet another protest.